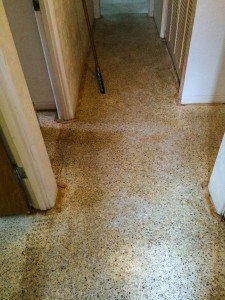 Terrazzo can be given pad damage through years of being covered by carpet padding, but can terrazzo with pad damage be restored? 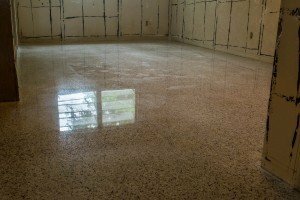 Without a grinding, honing, polishing, and densifying system similar to ours it can be all but impossible to remove pad damage caused by years or even decades of padding. 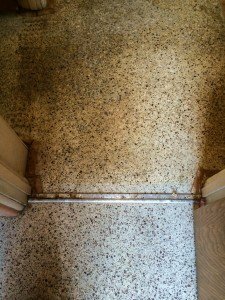 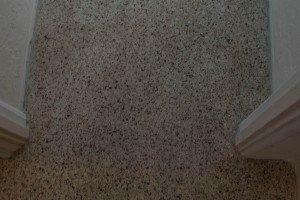 Safe Dry Terrazzo Restoration has acquired years of experience in removing pad damage, as is apparent in the photos below. Few companies around the world are as experienced as we are in removing pad damage and few have a terrazzo restoration system as advanced as ours. 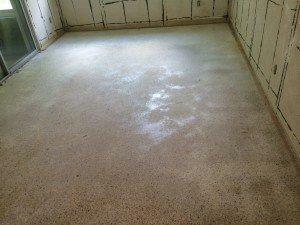 Many companies do not have the experience and technology to handle floors with pad damage and, as the old saying goes, bite off more than they can chew. 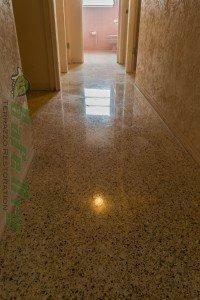 In contrast, we have restored many pad damaged floors over the years and consistently leave our customers satisfied with our terrazzo restoration services.